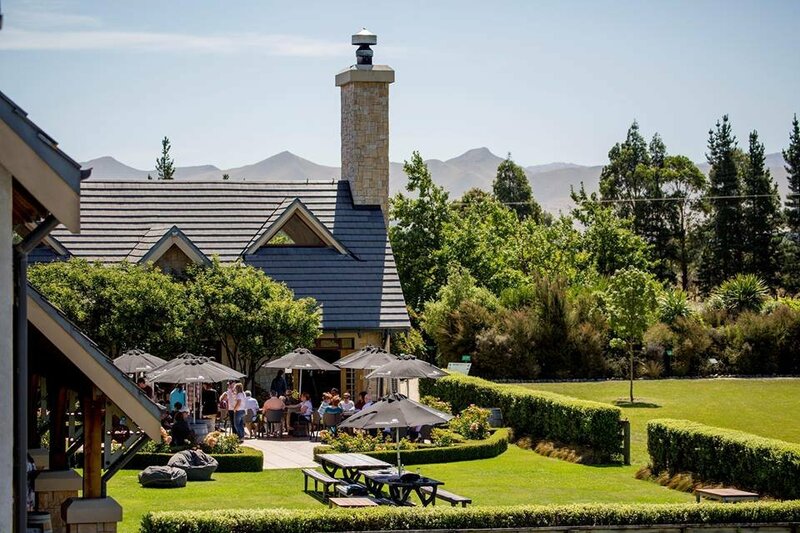 Try some of North Canterbury's best wines and food at the Waipara Hills Winery and Cafe. The large manor located among the rolling hills of North Canterbury is a lovely setting for a wine tasting and a leisurely cafe lunch. The charming courtyard with views of the surrounding area is a popular destination for locals and visitors alike. The cheerful and knowledgeable staff make every guest feel welcome and will also gladly offer recommendations regarding the food and wine on offer. Dishes include lighter fare such as seafood chowder and salad for starters as well as heartier mains such as lamb shanks and salmon. The menu listings include the chef's recommendations for a wine pairing, though a full wine list is available for your own pairings. The alfresco dining in the courtyard is also ideal for a quick coffee and a muffin if you are just driving through the area. Either way, be sure to stop at the Waipara Hills Winery next time you visit North Canterbury. Reservations are not essential but we recommend booking in advance on weekends.